Capdepera is a municipality located in the Balearic Islands situated in the western side of Mallorca in the area of Llevant. It`s coastline is very jagged and hides numerous bays that are the home of several well-known tourist resorts such as Cala Rajada, Cala Mesquida, Canyamel and Font de Sa Cala. 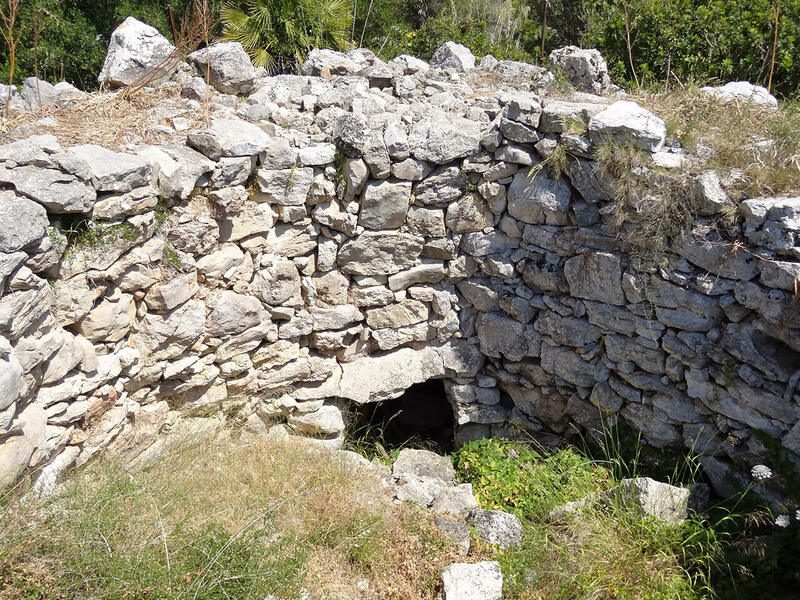 The most important thing to see in Capdepera is the majestic castle and if you are interested in archaeology you should visit Claper des Gegants. Cala Mesquda, or S’Arenal de Sa Mesquida is found at seven kilometers from Capdepera. It’s name originates from the old mansion in the area known as Sa Mesquida de Dalt. Cala Mesquida was declared as a special natural area of interest in 1991. 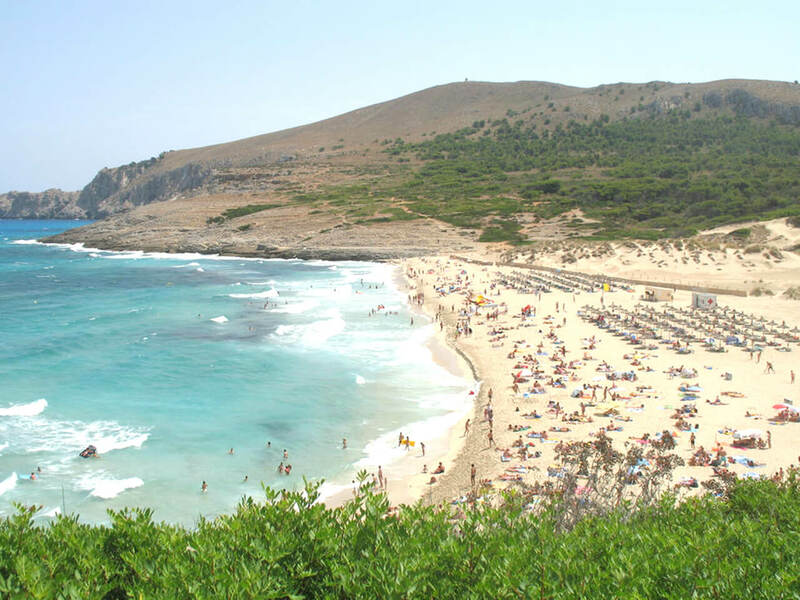 It has a large beach with fine sand and ends in a dune area known as La Duna de Es Munt Gros. The right hand side reaches as far as Cala Agulla and passes by Cap de Freu and has one of the largest colonies of seagulls and cormorants in the Balearic Islands. There are no buildings in this area whereas to the left hand side the tourist resort and residential area has been growing since the 70’s. Canyamel can be found at seven kilometres from Capdepera between Cap des Pinar or des Raix and Cap Vermell. It is a valley area and natural water passage inhabited by ducks and sea birds and is overlooked by the Serra de San Jordi and Puig Negre. The beach is Canyamel is a wonderful white sanded beach with crystal clear water where the natural water way ends and you can find ducks, geese and other birds all year long giving the area a special charm. 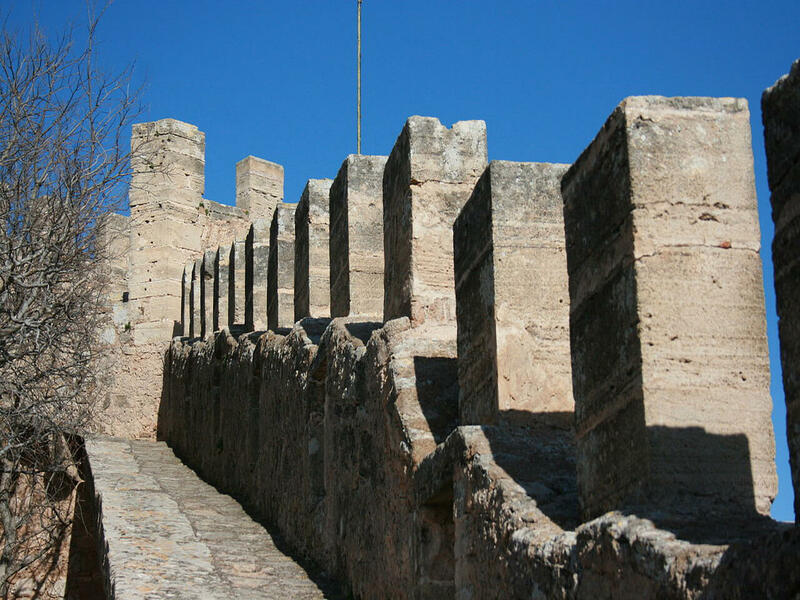 The Castillo de Capdepera is walled in and has a triangular shape. It has 4 towers and 2 entrance doors. The oldest part of the fort was built by the Muslims. Another interesting object is the Tower of Canyamel which is a large Gothic structure that dates back to the XIII Century and was used for the storage of merchandise. In the XVIII Century the castle was converted into army barracks under governmental regime and the actual Governors house was built. 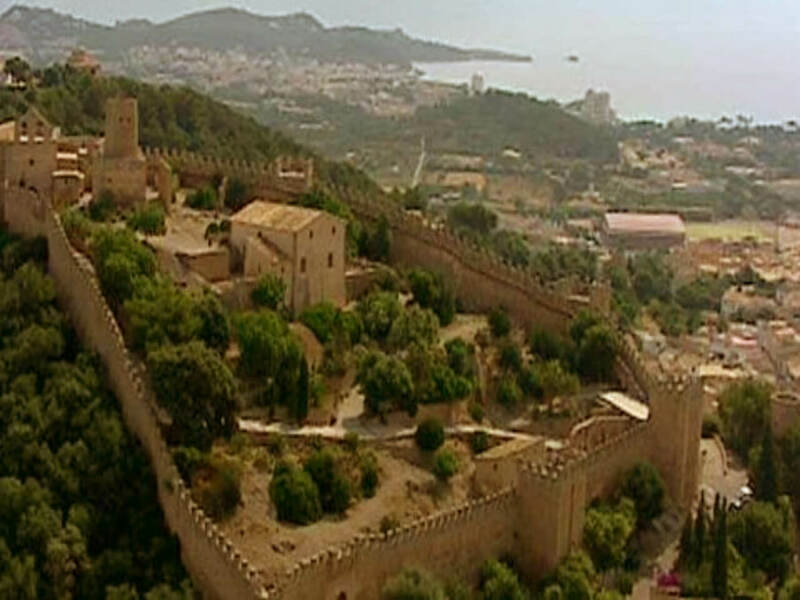 In 1854 the military left the castle and in 1862 it was sold for 4,252 pesetas and was bought by the families Quint-Safortesa and Fuster. In 1983 the Town Hall and the owners signed a donation and the castle was given to the village of Capdepera. Claper des Gegants is a settlement dating from the Iron Age to the Romans. This Talayotic village in Mallorca (“S’Heretat”) is a walled in village of about 4,800 m2 with one central Talayot known as “Claper del Gegants”. This talayot has a central corridor that goes right through it and various rooms attached to the exterior in radial form. The village also has others buildings and interesting cisterns. The Archduke Luis Salvador, E. Carailhac or Mascaró Pasarius mention this Talayot in their writings. The golf club of Capdepera is recognised by its 6 artificial lakes. It is a gorgeous 18 hole course that was inaugurated in 1989 and was designed by the famous American architect Dan Maples. All golfers find it quite a challenge. The course is impeccably maintained and the roads run through the valley surrounded by rocky mountains. 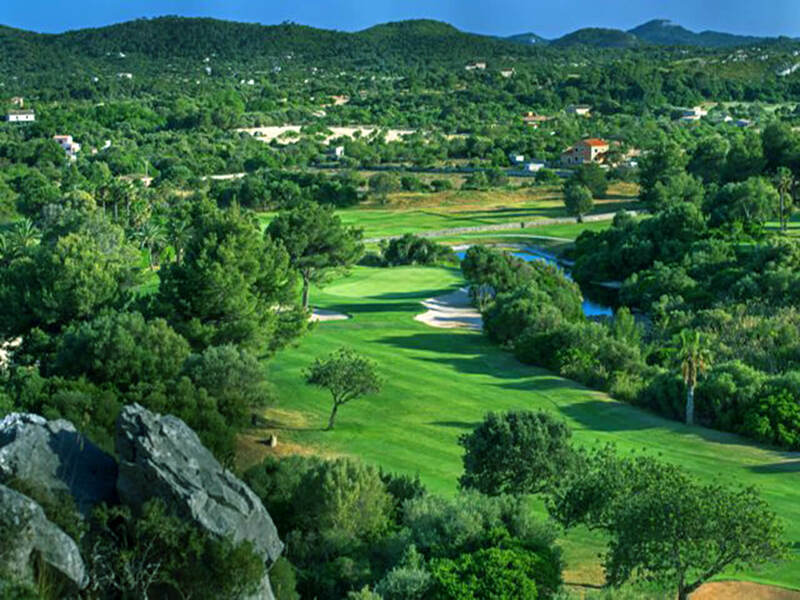 High Greens combined with long and wide as well as narrow courses and the last course right under the mountains with spectacular views. A golfers dream!